Legendary photo-journalist Tamabarahalli Subramanya Satyanarayana Iyer, better known as T S Satyan, who was five days away from his 86th birthday, passed away in Mysore on Sunday. Satyan had complained of uneasiness on Saturday evening and was shifted to a hospital, where doctors diagnosed him with brain haemorrhage. He breathed his last on Sunday. Satyan is survived by his wife Nagarathna, two sons and a daughter. An iconic personality, Satyan, a Padma Shri, was one of the very few Indians who entered the field of photo journalism at a time when it was alien territory. 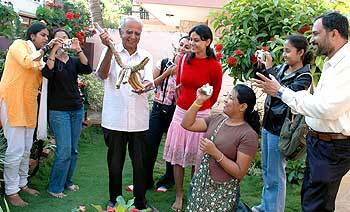 Satyan was born in 1923 in Mysore, Karnataka. He belonged to the golden generation of Maharaja's College, Mysore, in the 1940s. For most part of his professional life, he remained a freelancer doing special assignments for national and international publications. His pictures have found a place in publications like Newsweek, Time, Christian Science Monitor, Outlook, India Today and Illustrated Weekly among many others. Apart from this he has also done special assignments for international agencies like Unicef. The Fund had even marked the International Year of the Child in 1979 by organising an exhibition of Satyan's pictures of children at the UN headquarters in New York. Satyan has also published picture books on various themes. Exploring Karnataka, German Vignettes, Hampi - The Fabled Capital of the Vijayanagar Empire and In Love with Life - A Journey through Life in Photographs were some of his published works. In 2005, Penguin published his memoirs titled Alive and Clicking. Satyan was awarded the Padma Shri in 1977 and the Mysore University, his alma mater, conferred a doctoral degree on him in 2003. 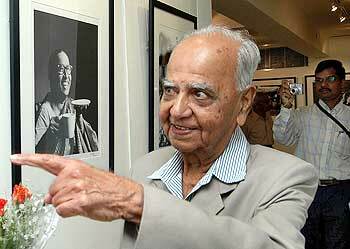 Satyan's interest in photography began when he was in high school in the year 1937. He had found some classmates taking pictures with a box camera and when he passed his 11th standard, his father permitted him to buy one. Satyan had said in one of his interviews that getting published in the print media was his sole ambition. 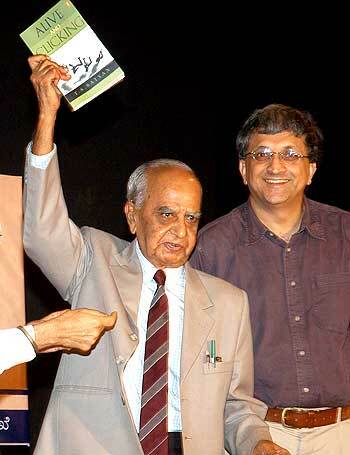 "There was no formal transition though I got my break when I joined the Deccan Herald in 1950 as a staffer. Having seen my work regularly getting published in the Illustrated Weekly of India and other magazines, C G K Reddy and news editor Eric Scott invited me to join them. I worked in Bangalore only for two years before moving to Bombay to join the Illustrated Weekly as feature writer," he said. The very first picture clicked by him with his box camera was of his mother and her friend during their morning Tulsi puja . His mother was anxious to see it published in the Illustrated Weekly, but the editor rejected it. The negative was frilled at the edges and overexposed. His second attempt with the box camera was a success and this picture of a child using the abacus went on to win the first prize in the Weekly's Snapshots competition. Satyan always had this great approach towards life and was always optimisitic. He had said last year that he had no complaints about anything. "Starting some 60 years ago from scratch when photo-journalism was almost non-existent, I have travelled into unknown territory crossing many hurdles. I am happy with what little I have been able to do," he said.